Today's technology is history tomorrow. Over the last decades we have specialised in looking ahead towards what drives successful businesses in the future. business analysis, enterprise architecture, disruptive innovation and project management. In this fast changing world we’re focusing on disruptive innovation through creative use of new technology and business models. based on vision and core business principles. Business Analysis is about defining and delivering the outcomes that are best for the organization; strategically, tactically and operationally. Strategic analysis is about developing a strategy for a business by examining the organization and the environment in which it operates and determining likely responses to events and changes going on around and within the organization. Tactical Analysis is about the readiness of the organisation with respect to the execution of the strategic analysis recommendations for the company. Operational analysis is used to determine the efficiency of the business operations. Working with stakeholders to identify and understand their needs, concerns and work environment in order to ascertain actual requirements rather than desires. Prioritization and progressive elaboration of stakeholder and solution requirements so a project team can implement a plan that will meet the needs of both sponsors and stakeholders. Helping your organisation decide how best to document and manage requirements to achieve the business benefits you desire. Building business models that depict your organisation now and also examine its future potential. Assessing your business scenario, including functional and non-functional requirements, business process flow, key business data and the business rules that impact on your day-to-day operations. Identifying project issues and risks and seeking prompt resolution. 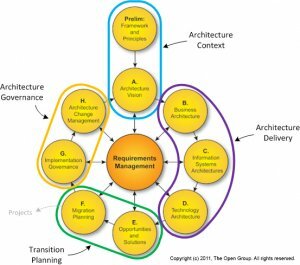 The ultimate goal of enterprise architecture is to harness new opportunities and maximize the capabilities of the organisation as a whole. Given the emergence of disruptive technologies and their influence on how customers are engaged, it is important to stay current, agile and stable with the rapidly changing state of your industry. Once the current Enterprise Architecture position is known, we move in to the realm of what ought to exist in the business using a strategy to execution process with a Strategy definition, Capability definition, Gap definition and of how to achieve this over time. B ased on the outcomes of the gap analysis (baseline versus required change) we view your organisation from a business, information as well as technology perspective and define opportunities and solutions. Once we have determined with what changes the organisation will reach the desired effect, a migration planning is produced and governance is implemented. From there changes to the processes are managed until fully implemented. More than 30 years ago, Clayton Christensen introduced a revolutionary concept that forever changed the business world: Disruptive Innovation. This is a term in the field of business administration which refers to an innovation that creates a new market and eventually disrupts an existing market and value network, displacing established market leading firms, products, and alliances. the challenge of the healthcare industry of making profit by increasing people’s health by choosing a more holistic and individualized approach towards people’s health and happiness on a daily basis. a climate change induced range of disruptions where energy companies are becoming conductors of smart networks for distributed, renewable energy and storage solutions. increasing moves from the retail market towards online and mobile business a change is happening towards improving the customer retail experience and also fulfilling information and emotional needs. Exsensys – In 2001 we launched the concept of automated cloud based temperature (and humidity) monitoring in the food industry. At the time all retailers had to manually monitor temperatures three times a day and send their logbook at the end of the month. Wine Affairs – In 2004 we pioneered the formation of a framework for (at the time) 24 wineries to sell their wines directly to the end customer anywhere in the world. This substantially shortened the supply chain and not only resulted in prices that were 40-50% lower compared to the traditional method, but also increased the profit of the wineries and created a consumer-winery connection. Artecon – In 2012 we started a new company importing high-end art supplies using an optimized supply chain. Result was (while still having a perfectly (financially) healthy company) 35-50% cheaper products for artists. Organizations operate in increasingly dynamic environments which often makes it a struggle to satisfy fluid business requirements and transformations. If not systematically managed, this can lead to fragmented change initiatives which are inconsistent, uncoordinated and unlikely, overall, to add value to the organization.